Everything in the store will be 10% to 75% off! Swarovski beads, Gemstone beads, Czech glass, bone. wood, waxed linen and more! A huge selection of loose glass, crystal, metal, clay and gemstone beads. 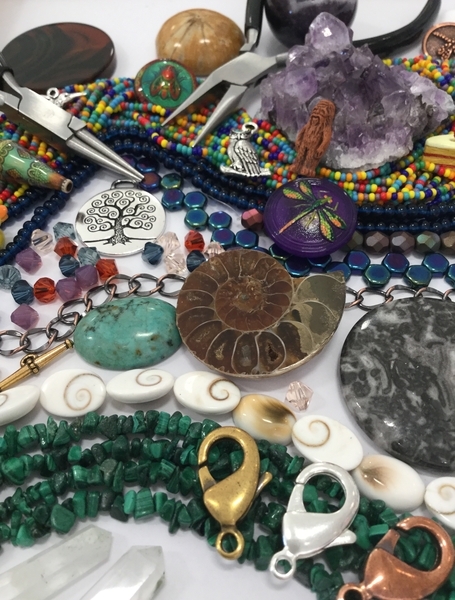 Bulk metal, bulk beads, jewelry kits, jewelry supplies, tools, bulk Swarovski crystal and strings of pearls, gem beads & specimens and much more. 10% Off Locally hand made beads & jewelry!